The thick clouds hovering above me and the occasional pitter-patter were evidence enough. It was indeed June, the beginning of the rainy season. Having experienced many typhoons and storms like Ondoy and Yolanda, another one seemed hardly any different. What’s unsettling to me is that despite the frequency of these storms, I didn’t feel we were progressing in terms of scientific research or in terms of innovating and applying technology to prevent disasters like these storms—not until recently. 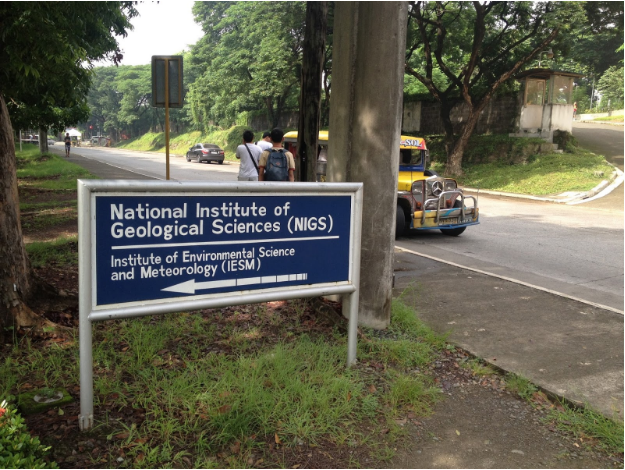 Last June, I took the opportunity to become an intern at Project NOAH (Nationwide Operational Assessment of Hazards) in UP NIGS (University of the Philippines – National Institute of Geological Sciences) after seeing their office in a field trip led by ISIP (Integrating Science in the Philippines) after ISIP’s Discovery Camp that brought students from different parts of the Philippines to experience science in a new way. After a call to prevent and mitigate disasters using programs and more advanced technology by former president Noynoy Aquino due to the devastation left by typhoon Yolanda in 2013, DOST (Department of Science and Technology) launched Project NOAH. 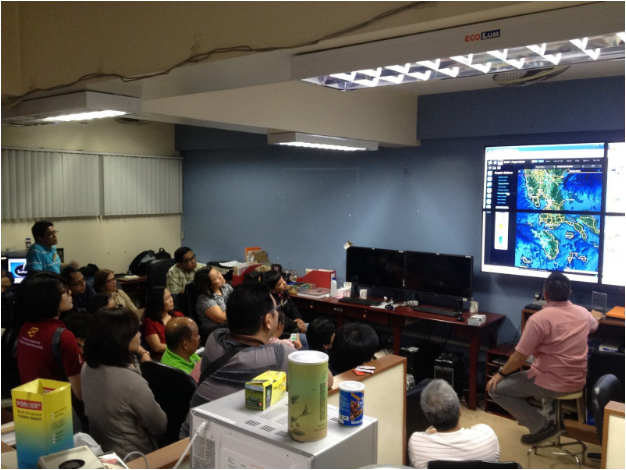 They wanted to install various devices for measuring water level and the amount of rain all over the Philippines as well as provide high resolution hazard maps of the country using LIDAR from a satellite. The information from all of these (and more) are centralized and accessible on their website. In my internship I learned a lot about the technology they use for mapping like Google Earth and OpenStreetMap especially when I participated in their presentations to different groups of people—from college students to adults from provinces. I saw the people managing the website, constantly updating it to give the most accurate information. On one fateful day, I got to see the whole team in action when a storm entered the Philippine Area of Responsibility in the middle of my internship. They took shifts and rarely slept to monitor the storm’s progress, to provide the most accurate information on their website, and to notify the barangays that would be affected by the storm. It was amazing to think that these people put a lot of their time and effort into ensuring that the next disaster will be mitigated, if not totally prevented, to save thousands of families around the country. 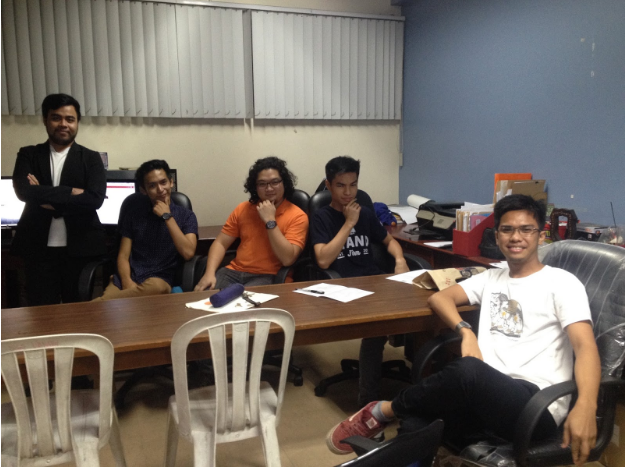 At the same time, I found the Project NOAH team to be like a family. Every lunch time, their headquarters would come alive and be crammed with the research team from one floor below, and with the communications team from one floor above. Work aside, they were a fun, close-knit bunch who loved to laugh and tell stories. I could always turn to them for help whenever I needed it. It gave a warm, friendly atmosphere that seemed to motivate me (and maybe them, too) to push on the next task, no matter how hard it was. Their lunch breaks gave me something to look forward to every day. Their flexible culture helps them to adapt to a lot of situations, which was important when thinking of creative solutions to prevent and mitigate disaster. My supervisor, Kuya BA, always sent me e-mails on my next task, gave me feedback on my work, and asked for feedback on my experience in Project NOAH. At the end of the week, I would prepare a short powerpoint presentation on my progress as well as any feedback. 1. Prepare. Prepare. Prepare. – You’re an intern and you want to get the most out of the internship. Learn about the institution ahead and research what they do, so you’re spared the basics at the start and you can dive into learning new things that you can’t simply google online. Besides that, have foresight and know what to pack in your bag the night before. Remember to sleep early and wake up early if you know you usually get caught in heavy traffic. 2. Fail fast. Learn fast. – Try new things. Try different things. Don’t be too conscious about getting your task perfect if it takes too long and hinders you from learning more. Do a good job. Maybe screw up quickly at the start, figure out what was wrong and what could’ve been right, then do a better job from there. This way, you learn early on instead of failing to address a bad habit only to realize you have to fix it towards the end. 3. Essence before extra. – When you’re being taught something, you don’t have to take note of every single detail (unless you have to memorize everything). Take note of the key points that contribute the most to your experience. The same goes with doing tasks. Make sure everything works first, and then you can tweak it to look better or work better. 4. Go beyond the call of duty. – Ask daring questions. Ask questions, period. If a challenge is presented to the other members of the institution, try to solve it. Think critically and creatively. Impress your supervisor to show you’re learning fast and you’re applying what you’ve learned. You don’t have to be limited to your task. You can ask members of the institution to teach you what they do, whether it’s scientific, creative, simple, or complicated. Ask for feedback. Give feedback. Only then will you truly make the most out of your internship experience. The development team, the supervisor, and the intern. All in all, I’m so grateful and blessed to have been part of Project NOAH through this internship. I’m also thankful to ISIP for giving us the opportunity to explore science institutions, and for promoting science and technology in the Philippines. I gained knowledge about applying science and technology to disaster prevention and mitigation, but I also experienced being part of a family of modern superheroes—nameless, unsung heroes who work on satellite data on their computers, make calls to make sure barangays are safe, and stir coffee at 3am on a stormy night—and I honor them all the more for their cause. And so, sometimes, when I see the clouds hovering above me, or feel the pitter-patter of the rain on my shirt, I already know. There are certain people making sure that families all over the country are safe from storms that may come.